My research aims at understanding strong-field gravity astrophysics with compact objects — an essential ingredient in understanding the origin and evolution of the Universe. The evolution of our Universe on all scales, from the life-cycle of individual stars to the Universe in its entirety, is inextricably linked with gravity. Specifically, I am addressing the following fundamental questions: how do the laws of physics interact with each other in strong-field gravity? 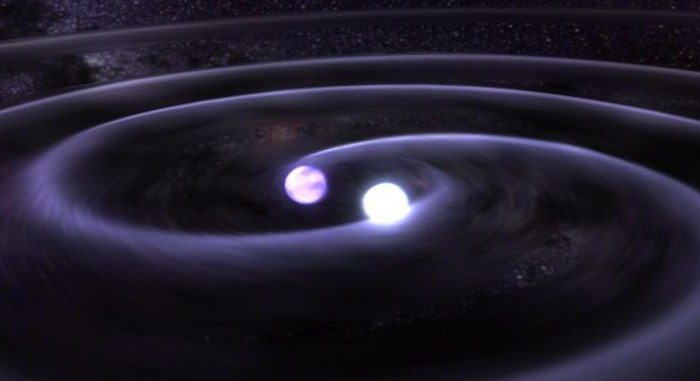 what is the fate of binary stellar evolution, and how can we detect electromagnetic (EM) and multi-messenger signatures, such as gravitational waves (GWs) of their merger events? what are the physics that drive the most ubiquitous energetic events in the Universe — jets, accretion disks, mergers and explosions? In particular, my recent work aims to explain the physics driving the merger of compact object binaries (black holes, neutron stars and white dwarfs) by using EM and GW measurements. Below I list some of the EM and GW observatories (with which I am or have been involved) that could observe such highly energetic, short-lived and elusive compact object events. For more details, see Nissanke, Kasliwal, Georgieva (2013) and Kasliwal and Nissanke (2014).